I mentioned in a previous post (about a certain delicious oatmeal cake) that my mom recently had a birthday. We all went down to my parents’ house and spent the weekend there to celebrate. Tim, my sister-in-law, Jill, and I cooked my mom a super special birthday lunch. Since I was deemed the project manager, I got to boss them around lead the development of this delicious dish. Seriously though, we had a great time making this together, which just makes me love cooking even more. The kitchen really is the heart of the home. And the whole family loved the dish! Since I knew we would be having a delicious, but not exactly lite oatmeal birthday cake, I opted for a lunch dish that was pretty healthy. 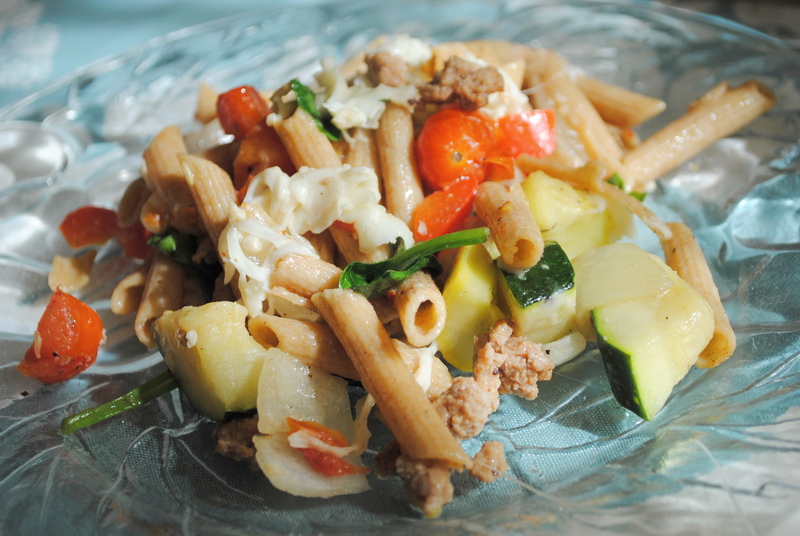 The pasta is whole wheat, the sauce is very light and has no cream, the sausage is turkey, and there are a lot of yummy vegetables in it. We went off of this recipe, but I took a few culinary liberties. First, since we were roasting vegetables and the sauce was pretty simple, I thought it would be a nice addition to roast a bulb of garlic and add that in with the sauce. 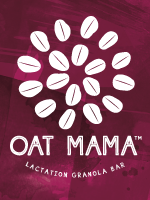 Wise decision – it added great flavor! Roasted garlic is very nutty and sweet, and not nearly as strong as regular garlic. As I already mentioned, we also used turkey sausage to lighten things up. I added about a teaspoon of crushed red pepper flakes to spice up the sausage. I also added some fresh spinach in at the end. And let’s not forget the pièce de résistance – covering the whole thing with cheese and baking it to make it all melty. I love cheese!!! In an attempt to not totally ruin the health factor with the cheese, I used the 2% kind. The original recipe is written for four servings, so I upped everything since there were six of us. It ended up being enough to feed us all at least twice. Oops. I guess I used up all of my brain power on the roasted garlic idea. I’ve scaled it down a little in the recipe below, so it should be closer to six to eight servings. If you still want to make less, you can adjust accordingly, but I would still use a whole bulb of garlic and a whole pint of tomatoes because they’re both just so delicious. 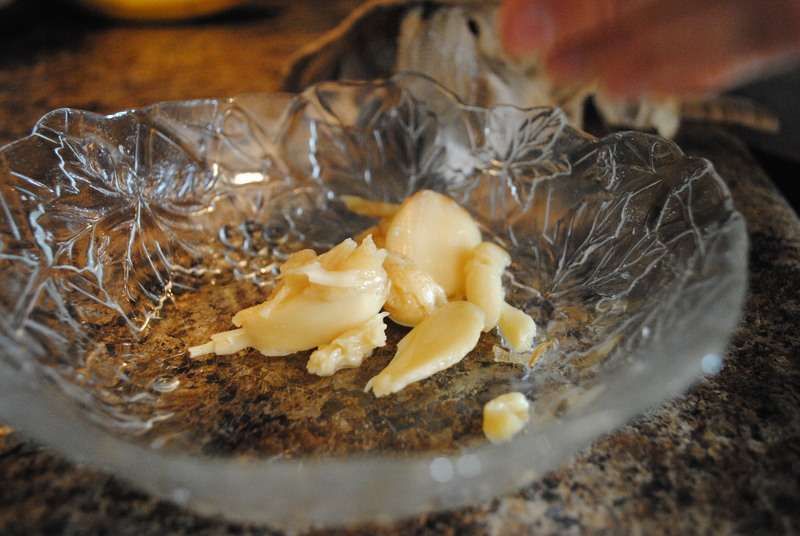 Cut the top off the bulb of garlic to expose just the tops of the cloves. 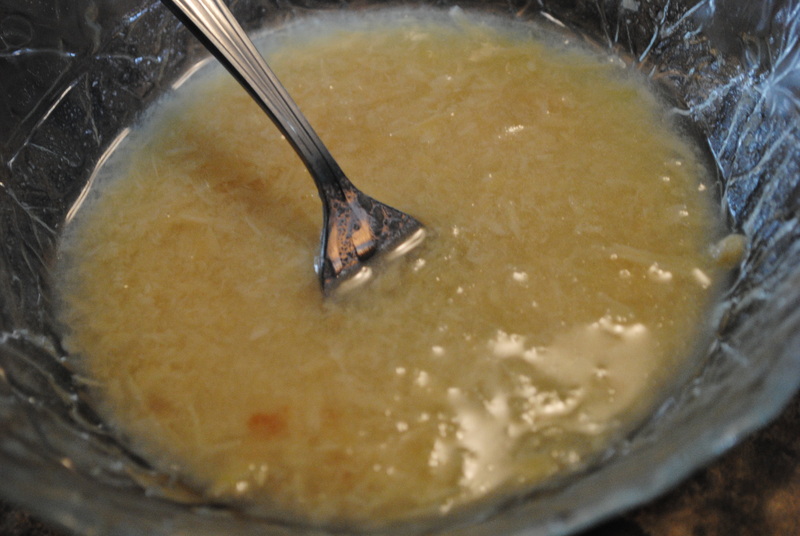 Drizzle with olive oil and wrap up in a small square of aluminum foil. Roast in the oven for 45 minutes. In a bowl, toss the onions, zucchini, squash, red pepper, and tomatoes with olive oil, salt and pepper. 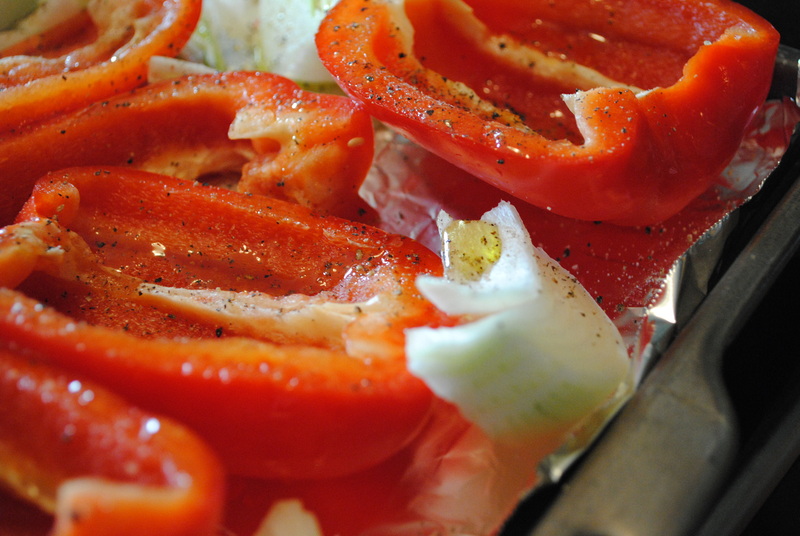 Line a sheet pan with aluminum foil and spread out the veggies. After the garlic has been in the oven for 15 minutes, put the veggies in and roast for 30 minutes, or until they begin to brown around the edges and the tomatoes burst. While the veggies are roasting, cook the pasta according to package instructions and reserve about a cup of the cooking liquid. Heat a nonstick skillet over medium high heat. Add about a tablespoon of olive oil and the sausage, and cook until brown. Add the wine to deglaze the pan and pick up all of the yummy bits on the bottom. 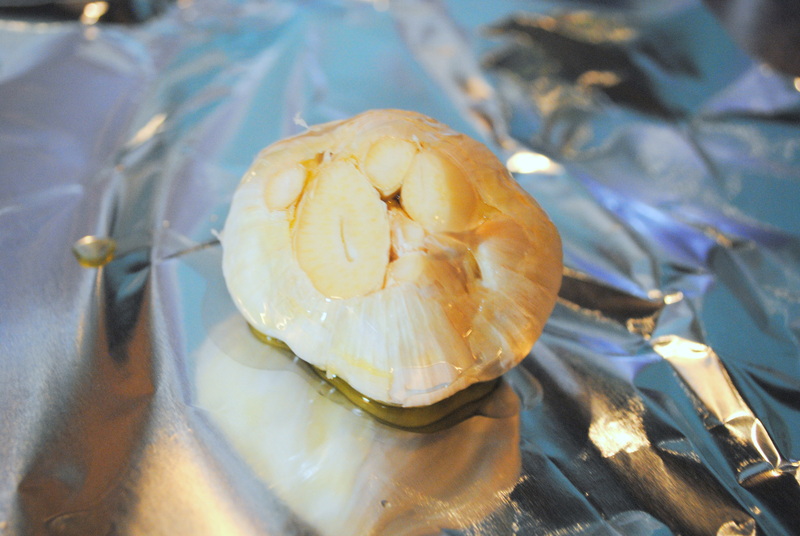 Once the veggies and garlic are done, take them out of the oven and remove the garlic from the foil to cool a bit. 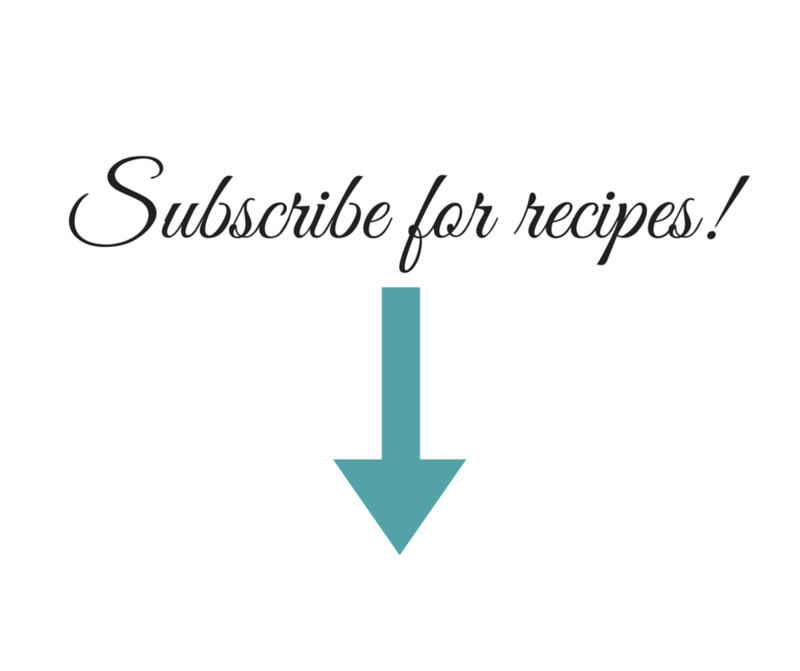 Squeeze the garlic out of the bulb – careful, it will be hot! You might want to employ the use of some tongs here. Mash the garlic with a fork and then stir in the pasta water. Rough chop the vegetables into bite-sized pieces. 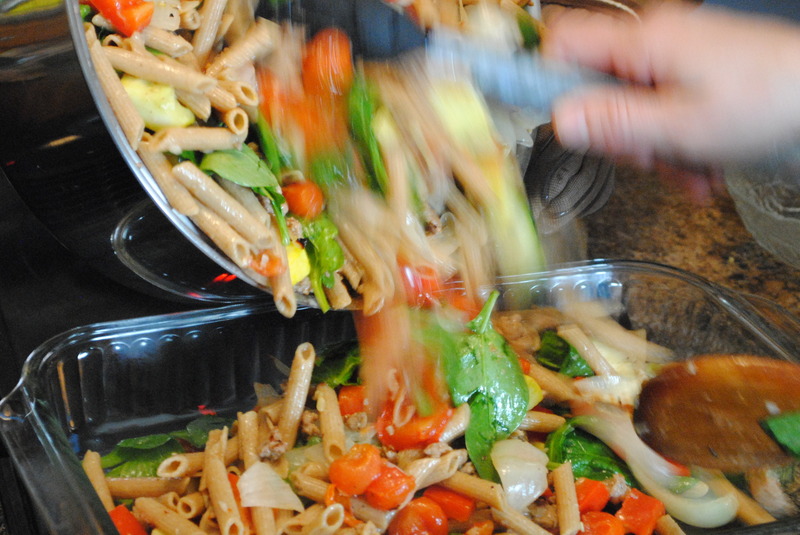 Mix together the cooked pasta, sausage, vegetables with juices from the pan, spinach, and garlicky cooking water. 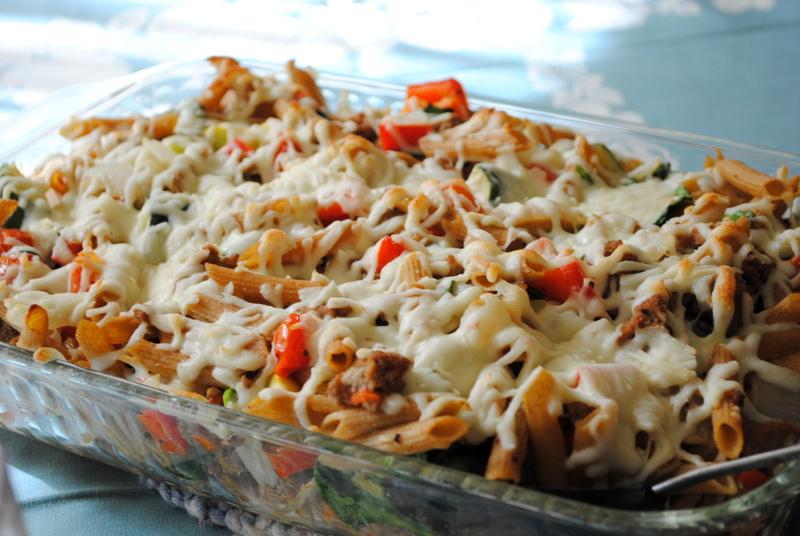 Pour into 9 x 13 pan and cover with cheese. Put back into the oven for about 10 minutes, until the cheese melts.